Gastroenterology Associates of Fairfield County welcomes you! Dr. Lopatin will be retiring. After many decades in medical practice, I will be retiring. This will be effective on December 31, 2018. I would like to thank all of you for what has been a wonderful and fulfilling career. My talented partners, who care for me and my family, can skillfully manage all of your GI issues. I am available to counsel you on your choice of a physician including local Internists. It has been my privilege to serve you. " We have recently installed FUSE scopes which provide a much broader range of vision for your endoscopist. At Gastroenterology Associates of Fairfield County, we believe that each patient and doctor become a team for treating an individual's digestive problems. Our gastroenterologists spend most of their time listening to understand your concerns and responding with the best treatment options for you. With the help of our professional staff, they also follow up to make sure that problems are resolved and your health improves. We also know that convenience is important to your selection of a gastroenterologist in Fairfield. In these web pages you'll find information about Gastroenterology Associates of Fairfield County's office, including our location, maps, directions, hours and insurance policies. Please feel free to contact us with any questions you have or to request an appointment. We hope you find our practice offers the accessibility and personal commitment you look for from a gastroenterologist close to home. 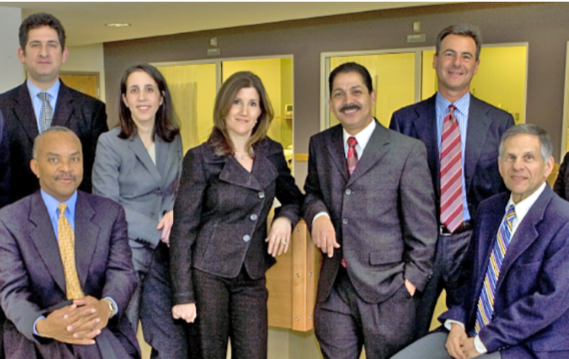 Gastroenterology Associates of Fairfield County is dedicated to medical excellence. We believe in providing exceptional care and strive for compassion and integrity. We are committed to maintaining state-of-the-art medical expertise in diagnosis and treatment of gastrointestinal and hepatic disorders.